Today we bid Aloha to Chocolate and Hawaii Theme Week, and continued with the second day of Chocolate and Lavender Week. 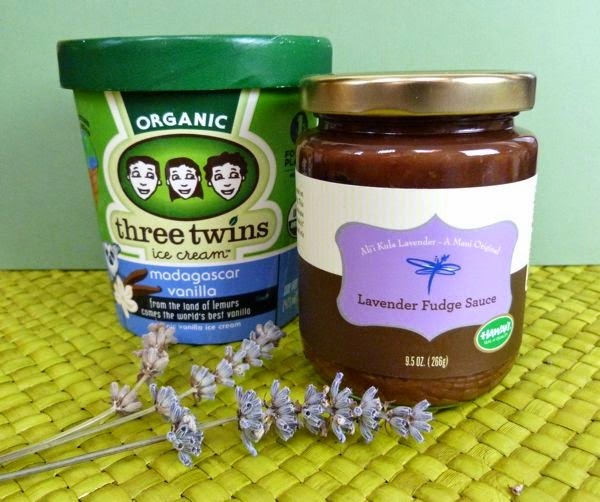 The bridge between these two weeks was a lovely Lavender Chocolate Sauce from Ali'i Kula Lavender farm (Kula, Hawaii) on the island of Maui. This sauce could be used to dress up almost any dessert, from poached pears to panna cotta, or to make a lavender ice cream sundae. The lavender chocolate sauce was not overly thick, but it was a cold day. So, I warmed and stirred a small dish of sauce first, for easier spooning over ice cream. 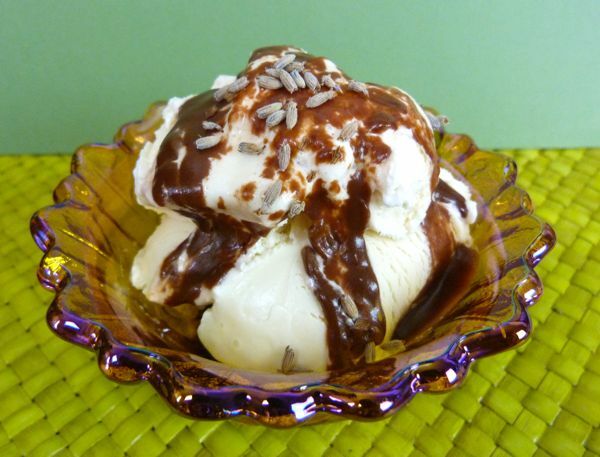 I used a healthy scoop or two of Three Twins Madagascar Vanilla ice cream for this sundae. Lappert's ice cream (Hawaii) would also be a great tropical island ice cream alternative.